Air-Sea Forwarder Kokusai Express Japan is an international forwarder. Our air and sea transportation is the best for forwarding your shipments from and to all destinations. Our well trained and experienced team strives to find the most cost effective solutions to forward your freight by air and sea. First, you should know that freight forwarding is the coordination and shipment of goods from one place to another. You can transport your goods a single or multiple carriers via air, marine, rail or highway. Our company Kokusai Express Japan is specialized in arranging storage and shipping all of your goods true sea and air. Our company Kokusai Express Japan is specialized in arranging storage and shipping all of your goods true sea and air. Air-Sea Forwarder Kokusai Express gives you a full range of services. This includes preparation of the cargo, export/import documentation, bonded and regular warehousing, negotiating freight charges, booking cargo space, consolidation of the cargo, cargo insurance, and filing of insurance claims. We arrange for you importing and exporting of goods. Our company provides document delivery, deconsolidation, and freight collection services. Successful trade and shipping in expanding globalized markets mean having the right tools at your disposal. International air-sea forwarder like Kokusai Express typically handles international shipments. International freight forwarders have expertise in preparing and processing customs and other documentation. Also, performing activities pertaining to international shipments. What Kokusai Express – Air-Sea Forwarder actually do for you? 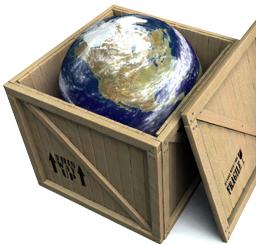 There is a lot that goes into arranging your international shipping. 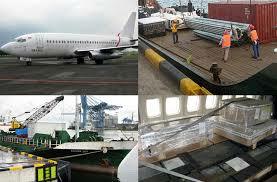 Air-Sea Forwarder like our company handles the details of your international shipping by air or sea. And we put all of our efforts in order to you to understand what an air-sea forwarder actually does. 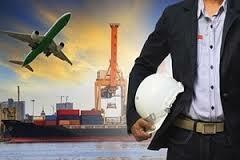 We are yours air-sea forwarder and shipping agent who complies export documentation and shipping requirements. Our experienced team advises and assists clients on how to move goods most efficiently from one destination to another. We have knowledge of Japanese forwarding protocol. Kokusai Express knows documentation requirements, regulations, transportation costs, and banking practices can ease the exporting process for many companies. A freight air-sea forwarding service includes dealing with the carriers, air freighters, and road transportation companies as well as with the ocean liners. In order to negotiate the best possible price to move shippers’ goods along the most economical route by working out various bids, and also, choosing the one that best balances speed, cost, and reliability. Kokusai Express air-sea forwarders handle all the process of shipping goods from one international destination to another. This task would otherwise be a formidable burden for our client. The freight air-sea forwarder acts as an intermediary between a shipper and various transportation services. 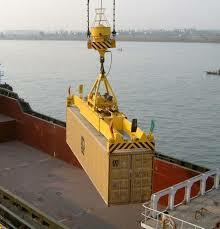 Such as ocean shipping on cargo ships, trucking, expedited shipping by air freight, and moving goods by sea. If all of this seems complicated for you, we are able to handle all of it for you. The first place to start is contacting our company with all your information, get quotes and proceed from there. With air sea forwarder you can transport your goods everywhere on the world. At Kokusai Express we promise to deliver exceptional service and pleasurable experience. Our team of transportation professionals will plan the best routes to get your load to its destination quickly and safely. We coordinate with docks and the market place so you don’t have to. Our company strives to keep your costs as low as possible. We manage the entire process with precision. Kokusai Air-Sea Forwarders are the ones who are moving product internationally from one country to another. We are your agents who will make sure that you understand laws of international shipping. We are between the shipping companies and the importer/exporter. If you choose our company for air sea forwarding we will make logistical arrangements with your supplier and get your product from overseas to a port in your desired country. The principles of air sea forwarding are premised on the efficient and cost-effective transfer of goods that are maintained in good condition throughout their travels. To accomplish this, freight forwarders like our company become experts in managing the logistics necessary to ensure that goods arrive on time. Negotiating tariffs, customs regulations and being fluent in the requirements of shipping by land, sea, rail, and air, we manage the risks and benefits of shipping both nationally and internationally using the latest advances in information technology. Having the knowledge and skills to navigate the regulations of freight forwarding is integral to ensuring the successful shipment and delivery of goods. Air sea forwarding depends on having the right people whose commitment to excellence and customer satisfaction ensures that goods reach their final destination in a timely and efficient manner. Many our clients recognize this and ensure that our most qualified personnel are available to develop a comfortable shopping experience. Negotiating regulations and logistics of freight forwarding is a complex task. The proper import and export of goods depend on choosing a reliable company and a freight forwarder you can trust. We believe in the continuous development of our business and we, therefore, comply with the latest international air cargo security regulations. By using our international network and worldwide relations we make sure our clients have the best freight forwarding solutions for their cargo. Depending on your needs, you choose to forward between air or by sea. It does not matter if you choose to hire our air or sea freight forwarders, your cargo will be safe and transported the final destination on time. Kokusai Express Japan offers all sorts of services for sea freight forwarding. This is a bit slower way of transportation compared to air freight forwarding, it is also less expensive. In order to save money, we would always suggest you choose forwarding freight by sea. The sea freight forwarding experts conduct your freight by a shipping line. It can be done on a direct line or with transshipments in several ports. If you hire our company you will get safety for your cargo, affordable prices fitting every budget, and top quality service. Customer experience is number one on our list of priorities and we will do our best to make sure you get the service you choose. When comes to transportation by sea it is important that company have insurance and all the proper licenses. When you are dealing with transport across the globe, this is extremely important. That’s way we have all the necessary documents. Kokusai Express Japan offers all sorts of services for sea freight forwarding. Our sea freight forwarding employees are the top experts we found in the market. All our staff is polite and friendly to all of our customers and clients. We offer explanations about types of sea transport service, different dimensions of containers, as well as all the necessary procedures. Depending on your location and final destination of the cargo, sending your goods via ocean will require 4-6 weeks. This is obviously much longer than the 3-7 days required when sending via air. For your first shipment, this isn’t ideal. It can ties up your capital on a cargo ship crossing the ocean. Although you initially want sea freight, it might turn out that your cargo is a better fit for an intermodal transport. That is why you should know we can provide you with all the transport modalities. A combination of two or even three might be what is best for your budget and your cargo. Depending on the good you want to transport, you might need different types of vessels and different types of containers. In that case, we can offer you flexibility and solutions for all of yours specific requests. You deserve the best. Depending on the good you want to transport, you might need different types of vessels and different types of containers. Air freight forwarders are responsible for transporting freight by air. Air freight forwarding is definitely the fastest way to get your cargo from one place to another. Air Freight Forwarder offers you a lot of benefits, there are some things you need to have in mind. One of them is that air freight is the most expensive form of transport. This type of shipping offers a number of valuable advantages for international moving or inland transportation. It is ideal for long distance stress-free moving to Japan, and as it is the quickest method it also saves you time for when moving over a long distance. Also, Air forwarding is very safe. It is the biggest advantage of air forwarding in Japan. You can ship perishable items by air without fear of it spoiling or other damage. Because it takes such a short amount of time for a package to be shipped through the air, it opens the door for a larger variety of things that you are able to ship. When you forward goods through the air there is less of a chance that your items will be damaged during the shipping process. Air shipping has a long list of benefits. Especially for everyone who needs to ship items and have them arrive at their destination in as short a time period as possible. Air freight forwarders are responsible for transporting freight by air. Kokusai Express Japan offers you to be a part of an international trade from anywhere in the world. We can transport your product to different places. After being on the market for many years, we can say that we know a thing or two about global transport. Air forwarding can easily be combined with other forms of transport, for the most quality service. So, we can give you a combination of few types of transport that you need. We know that you have goods that require special attention and need to be transported as soon as possible. There is no faster way to transport cargo than using the services of freight forwarders by air. International shipping is a great business opportunity for you. Hiring air freight forwarders is also important for the business trying to have a global impact. Besides that, it helps your business to compete on an international level. But, you need to have in mind that air transport is very complex and requires a lot of paperwork. So, you should know your cargo and your business are in safe hands because we will take care of all of that for you. Transportation by air is complex and intimidating, but it is much easier with a right partner by your side. Air forwarding is very safe. It is the biggest advantage of air forwarding in Japan. Air-Sea Forwarder Kokusai Express is a company who will sure your cargo is delivering expediently, safely and securely as possible. As a company, we were founded in 1990. And since that, we have been working every day to provide quality and affordable service to our customers. We have a variety of services available to you. Please browse our site for more information on the freight forwarding services that we can offer you. You can find information on air freight, sea freight, rail, and customs clearance. Whatever requirement you have regarding air sea forwarding, contact us and use our top quality services. Our friendly staff will answer any questions that you may have.